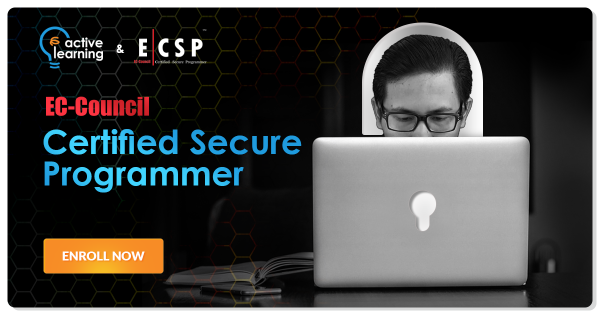 EC-Council Certified Secure Programmer - Java (ECSP-Java) is comprehensive course that provides hands-on training covering Java security features, policies, strengths, and weaknesses. It helps developers understand how to write secure and robust Java applications and provides advanced knowledge in various aspects of secure Java development that can effectively prevent hostile and buggy code. The end result of security Java coding practices include saving valuable effort, money, time, and possibly the reputation of organizations using Java coded applications. The ECSP - JAVA certification will lead you to the Licensed Penetration Tester certification. EC-Council is the owner and creator of the world famous Certified Ethical Hacker (CEH), Computer Hacking Forensics Investigator (CHFI) and EC-Council Certified Security Analyst (ECSA)/License Penetration Tester (LPT) programs, and as well as many others programs, that are offered in over 60 countries through a training network of more than 450 training partners globally. ActiveLearning is an Authorized Training Partner of EC-Council in the Philippines.